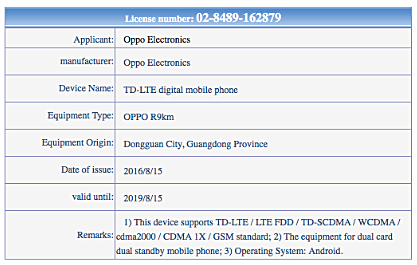 A new Oppo phone has been has been certified by Chinese telecommunication authority TENAA. 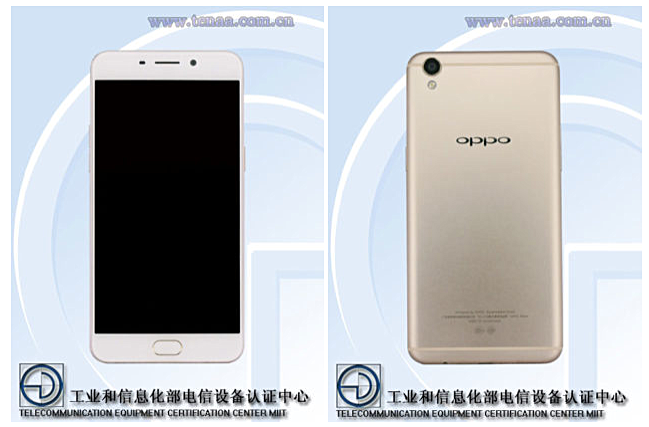 It's listed on TENAA's website as 'Oppo R9km', suggesting that either it's a variant of or a successor to the company's R9 smartphone. There have been a couple of rumors and leaks about an R9S in the past few months. So, it'd would be reasonable to assume that the R9km is nothing but the R9S - not to mention the design revealed in images above is also identical to that of the R9. Sadly, the TENAA listing doesn't reveal much in terms of specs, so there's little to confirm at this point in time. Rumors so far have suggested that the Oppo R9S will be powered by Snapdragon 625 SoC, and will also feature the Super VOOC charging tech that Oppo showcased earlier this year. The device is expected to made official sometime next month. Dear Oppo, Please make a black variants! Yet another pointless phone from Oppo. What is the hold up with the Find 9? If the LeEco Le2 or the Huawei Mate 9 are impressive phones then I will decide between those and forget about Oppo and their imaginary Find 9.